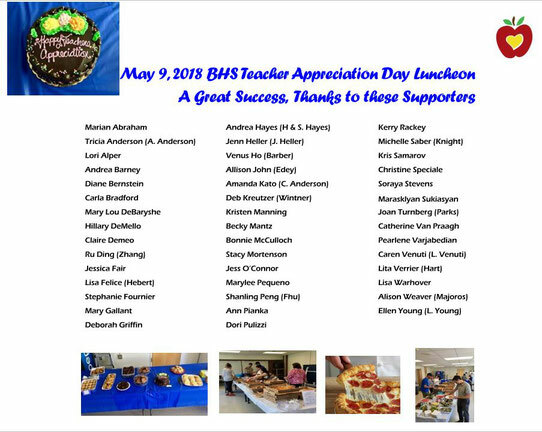 Thanks so much to all the families that helped make our annual Teacher’s Pizza Luncheon during Teacher Appreciation Week such as success. The teachers were so thankful and very full after a great lunch of pizza, amazing salads, refreshing fruit and yummy desserts! Teachers filled a few baggies in our Take-away Treat table for their staff meeting as well as cups of fruit to go! Once again, thanks so much for helping make the much so successful!